Growing Up | Highfields, Inc. Thanks to Highfields’ supportive staff, Marcelo is becoming a man. Sixteen-year-old Marcelo wants to start over. He’s not the same kid he used to be. “I’ve matured a lot and I view things differently now,” he said. Marcelo was first put on probation when he was 13 years old. He wasn’t getting along with his parents and began acting out, running away from home, and causing trouble. For the past 5 months, Marcelo has been at Highfields’ Residential Treatment Program. The program helps stabilize young men who have been referred through the court system. At Highfields, Marcelo learned how to change his mind set and think about consequences. He credits this new outlook to the caring staff and peers he can open up to in Mutual Support Group. The group meets weekly, and staff initiates discussions about past behaviors and ways to approach things differently. "I used to get mad very easily and I would argue, or run away from tough situations," he said. "Now I'm able to stay calm and process things before I act." Marcelo is repairing his relationship with his parents. He makes frequent phone calls and has spent several weekends home with his family. Marcelo’s family spent the day at Michigan’s Adventure together as part of Highfields’ Making Memories program. 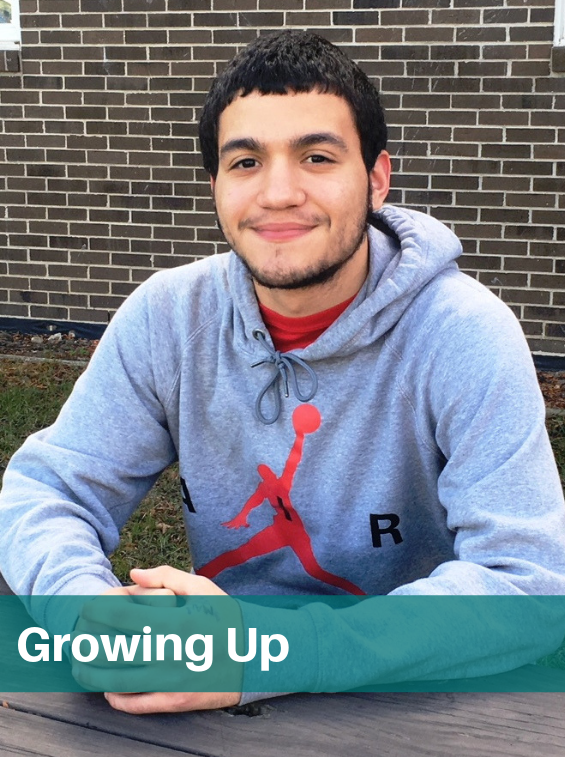 Marcelo wants to go into the armed forces after he graduates and study juvenile justice.